Dr. Ronda Nelson, PhD in Wholistic Nutrition and a Master Herbalist presents a webinar on Menopausal Meltdown: How to Prevent and Support (Part 2). Menopause is underrated until the day a woman actually begins to experience it first hand! Then all bets are off! Be sure to join Dr. Ronda Nelson for part 1 of this 3-part webinar series outlining the problems and pitfalls that can occur during peri- and postmenopause. Part 3 will be released in May. BANT Comments on the Daily Mail Article: ‘Could going low-carb help you fight off diabetes? Today’s Daily Mail (Tuesday, 25th April 2017) featured an article entitled ‘Could going low-carb help you fight off diabetes?’. The article highlights the changing nutrition recommendations being made by a growing number medical and health practitioners from the Public Health England (PHE) Eatwell guide recommendations of starchy carbohydrates for sufferers of Type 2 Diabetes, to a very low carbohydrate regime. 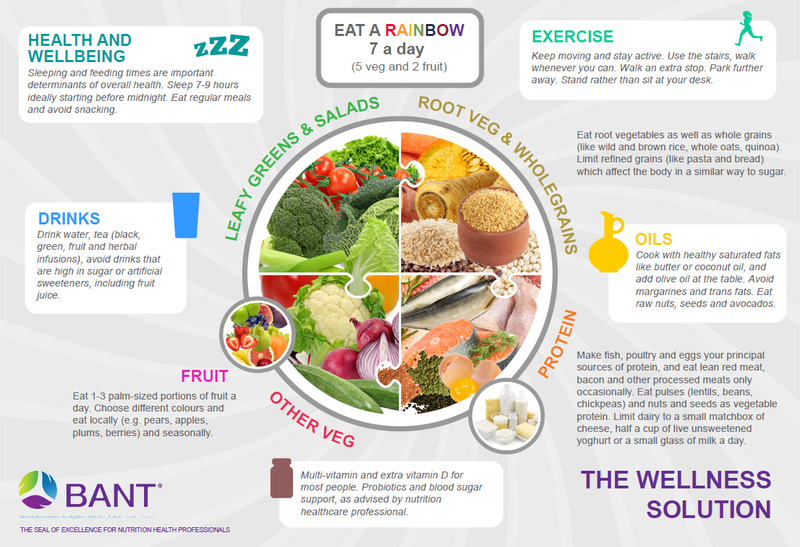 The British Association for Applied Nutrition and Nutritional Therapy (BANT) would like to highlight that, whilst it is still early days, recent scientific evidence does support this change in dietary recommendations. BANT would like to caution, however, that obesity and diabetes are complex conditions and changes need to be established to engender a long-term cultural shift which allows healthy behaviour adaptations to an environment which offers so many opportunities for unhealthy indulgence either knowingly or in ignorance. 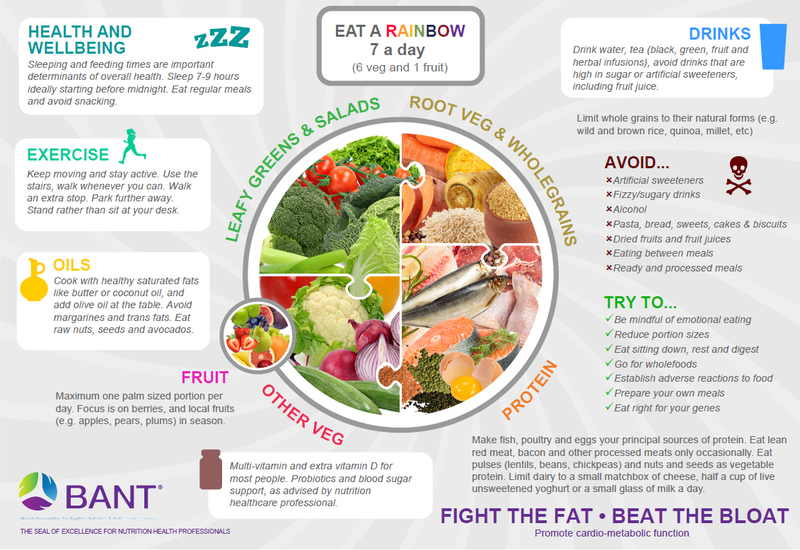 BANT practitioners do not suggest ‘one-size-fits-all’ advice following the health trend of the moment or out-dated population based recommendations, but take into account individuality that enables personalisation of dietary advice based on the most up-to-date research available. 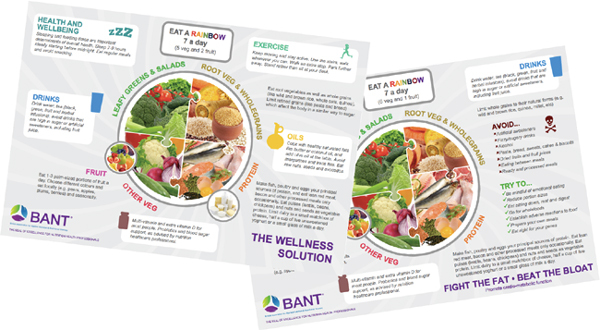 BANT is very much aware that much of the advice and information issued regarding the nation’s health and what we should be eating is confusing and often conflicting. It can be difficult for the public to navigate and interpret the information available, especially in the light of Public Health England’s admission that the Eatwell guide is a food selection tool that has been designed to cover the population as a whole which does not take into account individual health and weight profiles. Welcome to the April edition of the BANT ENews. In this month’s issue our feature article focuses on BANT’s recent response to the Functional Dietetics consultation; Abir Hamza-Goodacre takes us through a Day in the Life of the Membership Support Manager and Amelia Freer gives us a personal insight into her new book ‘Positive Nutrition’ and has also given us some recipes from the book to share with you all. Access the BANT news here. Welcome to the April edition of the BANT ENews. In this month’s issue our feature article focuses on BANT’s recent response to the Functional Dietetics consultation; Abir Hamza-Goodacre takes us through a Day in the Life of the Membership Support Manager and Amelia Freer gives us a personal insight into her new book ‘Positive Nutrition’ and has also given us some recipes from the book to share with you all. Belatedly, we’re hoping you all had a much-needed and restful break over Easter, and managed to soak up some of this glorious sun. There’s only a few months left of the academic year – keep going! For some relevant distractions, we’re telling you about our next free BANT student webinar on Wednesday 26th April and highlighting the fabulous education day courses run by ION in Richmond. Also, consider becoming a student rep. Our team needs you! If, like me, the words Nutritional Genomics reminds you how little you think you know (not true, by the way), perhaps you should tune in to the next webinar, on Wednesday 26th April at 11am, which tackles this subject head on. Dr Eve Pearce will cover epigenetics, nutrigenomics and the influence of diet, lifestyle and environment on gene expression. To refresh your memory, single nucleotide polymorphisms (SNPs) are small changes in the DNA code that can have an impact on overall health and wellness. We cannot change our genes, but, thanks to epigenetics, we now know that genes are not our destiny. Genetics can be modified and managed through lifestyle and nutrition. Click here to book your place or e-mail Alma at studentwebinars@bant.org.uk by Monday 24th April 2017. To find out more about the subject before the webinar, you can watch this TED talk and read this paper. Did you know that ION run fabulous day classes in Richmond on a number of different and highly relevant subjects? The ones we have attended so far have been incredibly useful, and varied: Fabulous Foods for Children’s Health, Fabulous Foods for Digestive Health, Eat Right for Coeliac Disease, and more. Belinda Blake, Jane Nodder, Christine Bailey and Carole Granger are among the regular, highly respected presenters. The days are relaxed but focused and provide an opportunity to get the latest, up-to-date information in combination with tastings and, usually, cookery demonstrations. Typically lasting from 10am to 4pm they are always interactive and have provided us with far more than we expected. There’s enough time to sign up for the FODMAPs diet and education day on Wednesday 10th May with Christine Bailey. If, like us, you have had to follow the FODMAPs diet as a requirement of your course, you’ll understand how difficult it is to enjoy meals on this challenging and restrictive regime. This day should enable you, as a student practitioner and later when you are qualified, to gain a deeper understanding of the diet and enable you to make creative meal suggestions and recipes. It is this practical support that clients need and will benefit from so greatly. The Student Network Team is tirelessly working towards getting BANT students more in touch with each other, to develop a community and support network, and to be more engaged with BANT as a whole, now and in the future. To that end, we aim to have at least one BANT student rep established at each of the accredited colleges. BANT student reps are a key point of contact within each college, receiving feedback and offering advice and signposting to BANT resources for all student members. It is a great opportunity to find out more about what BANT is doing. Plus, meeting students from other training providers is hugely enjoyable and is good practice for the networking we will all rely on once we are qualified. Specifically, we are looking for students from ION, BCNH and the Northern College of Acupuncture. Come and join the team! …and don’t go yet – if you have any recipes, reviews, book recommendations or comments , or there’s something you’d like to see, please send it to studentsocialmedia@bant.org.uk or post it here in our LinkedIn page (BANT Student Network). Don’t forget twitter (@BANTonline) and our Facebook account (BANT Members Group). We’d love to hear from you! It’s coming up to the end of term time so many of us will have a lot of assignments and/or exams. So, this will be a short and sweet bulletin focusing on one future event and one from the recent past, and finishing off with an Easter treat. The upcoming IHCAN Conference (formerly CAM Conference), ‘Inflammation and Antioxidants’ is taking place on 22 April 2017 at Cavendish Conference Centre, London. Two world-renowned experts will take the stage throughout the day – Dr Thomas Levy, MD, JD, and Professor Stig Bengmark, MD, PhD. Dr Levy will present ‘The Cause of All Disease: A Unified Theory’ and ‘Vitamin C and Infection: The Ultimate Antibiotic’, while Professor Bengmark will present ‘Choosing Health – Honour your intestinal microflora, so that you may live long’ Parts I & II. The conference will be accredited 4.5 CPD hours from BANT, and all attendees will receive a goody bag and a free, three course gluten-free buffet lunch, as well as refreshments throughout the day. Did you miss last week’s webinar? Catherine Pohl and Barbara Powell ­ presented the webinar ‘Making the most of your BANT Student Membership’ which provided information to understand and give information about what BANT is doing for students, how to get the most out of your student membership and to feel connected to the profession from the commencement of your studies. BANT student membership includes a wide variety of benefits, from access to Local Networks which provide networking and knowledge sharing opportunity’s with practitioners and students in your area, to Regional Branch Meetings, as well as access to the BANT Professional Practice Handbook in support of your clinical studies. In addition, there are discounts from a whole host of providers. To find out what BANT is doing for students, how to benefit from your membership, and to watch the recording, click here. Easter is coming so if you feel the need to indulge in something healthy that tastes naughty, this could be the trick. It’s packed full of almonds that are chock full of the antioxidant vitamin E.